"I was always afraid of the mess I’d have to go through to get my first car. Creepy salesmen, high prices, and crummy cars were just a few of my fears. But it was nothing like that. Everyone at Studio Fiat were amazing in every way and in the end, I drove away with a stylish, speedy little car that doesn’t hurt my bank account every time I go to the gas pumps. The only problem I have is the number of heads that turn when I drive past! Seriously, is attention addictive?" "In my experience, finding a great car and great customer service often do not go hand in hand. However, as soon as I walked into Studio Fiat, I very quickly realized that this was not your average run of the mill car dealership. You instantly feel welcomed, and are greeted by someone you know cares just as much about you as they do the great cars they are selling. The entire buying process was fantastic, quick, easy, and most importantly honest. It's rare to become friends with your salesman. 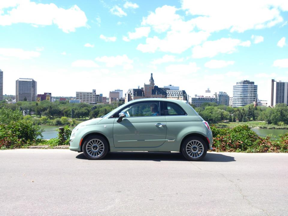 I love my Fiat 500. I often find myself taking the long way home just so I can drive it more. 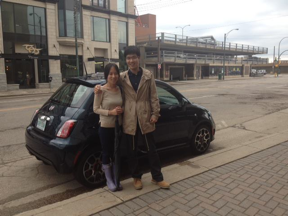 I would highly recommend Studio Fiat to anyone looking for a fun, stylish, and a quality car!"